Do you know this vandal?? The Selinsgrove plant vandal struck again – – but this time the destructive man was caught on film! 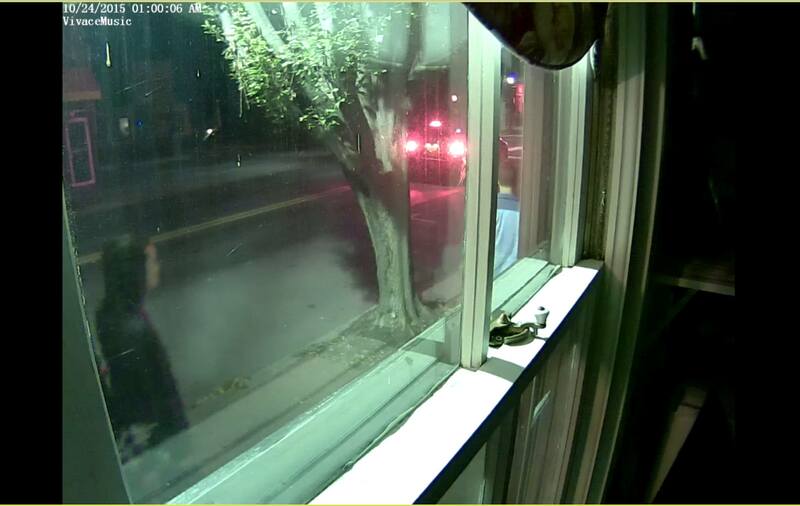 The angry plant hater was spotted outside of Vivace Music at 32 S Market Street by the camera shortly after 1 am outside am wearing a blue shirt. A plant could be seen flying behind the vandals as they walked by. He was with woman. “They just ripped up my flowers and threw them on my sidewalk,”said Nathan Fisher, the stores owner told the Orange Street News. “I have no idea why someone would do this,” he added. Over the past month Selinsgrove has been the victim of lots of destructive vandalism. Someone pulled up expensive flowers and ripped out a small pine tree at the Selinsgrove Commons. Earlier this month someone knocked the sign down on the corner of Orange and Pine, a chair was snapped in half, and some Halloween trouble maker even smashed some pumpkins, according to Handlin. “Its very upsetting because we have volunteers who help raise the money for the flowers and to see someone rip them up really upsets me,” Carol Handlin told the Orange Street News. “I don’t know who is doing this but now we are putting up cameras,” she told the Orange Street News. This entry was posted on October 24, 2015 by Hilde Kate Lysiak and tagged Hilde kate lysiak, Orange Street News, selinsgrove, vandalism.